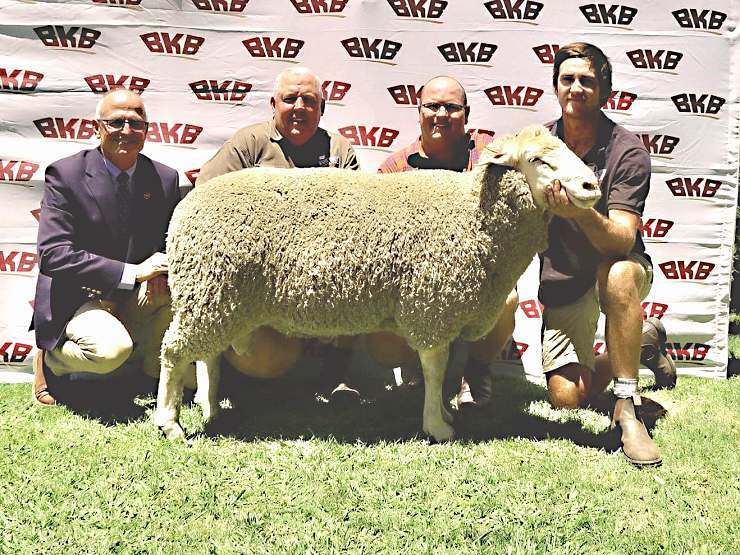 Photo L/R: Appie Maritz (Auctioneer, BKB, Paarl), Jan van der Walt (Advisor, BKB, Burgerdorp), Dries Pienaar (Seller, White Wools Dohnes, Molteno) and John Reynolds (White Wools, Holding the ram), (Buyer Jannie Kitshoff, Absent). 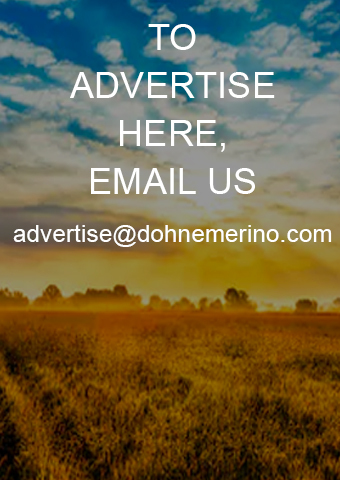 Dries Pienaar held the annual White Wools production sale on 23 January 2019 and offered and sold 70 excellent Dohne Merino rams for the average price of R12,786. 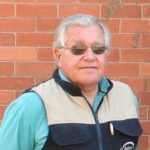 A total of eight rams were sold at prices of R20,000 or more and Mr. HL Kitshoff and Sons paid the top price of R56,000 for a single ram.